I love the slightly 60's feel to this dress.. throw in gingham, pleats and a peter pan collar? hello new best friend. I'm probably (read definitely) going to wear this to death over the next few months. such a cute outfit! love the mix of pattern on the dress. oooh i love this look! the shoes are so cute! oh you look absolutely gorgeous! I absolutely adore this dress! You are seriously SUCH A BABE! This dress is so lovely! 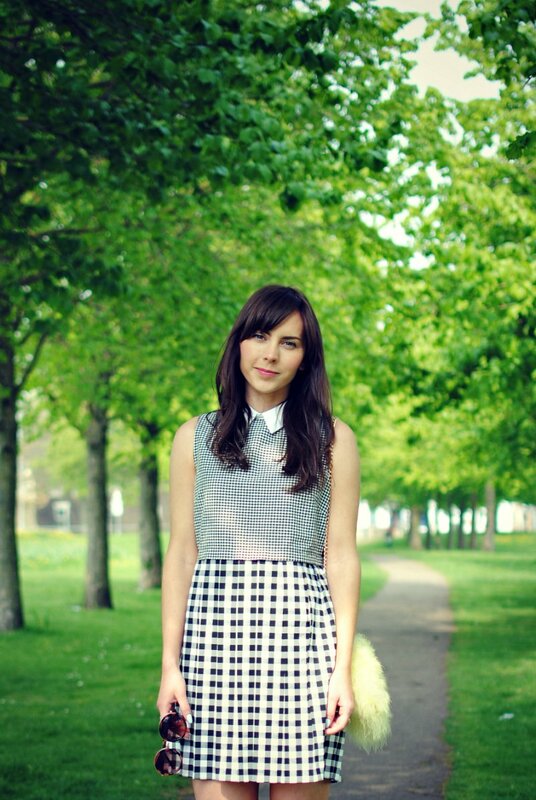 I love gingham and everything has to have a peterpan collar so this is just perfect! That bag is just so cute! You look so lovely in this oufit! So cute dear! Love this dress, very chic indeed my dear!